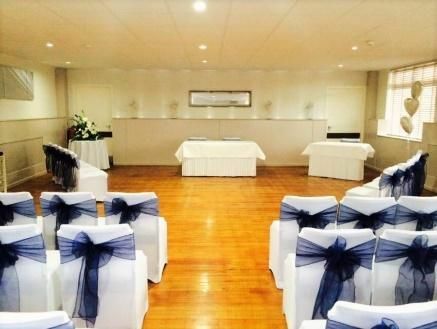 Our venue allows you to build a package to suit both the budget & the dreams whilst not applying the hidden restrictions that many other venues might. We have an extensive list of suppliers for items such as room & table decor, chair covers, cakes, entertainment & much more, however you are free to choose your own from any other suppliers. The more intimate surrounding of the restaurant host parties up to 60 guests during the day, larger parties up to 190 are hosted in the function suite. Being situated on the edge of the picturesque Timothy Hackworth Park we offer a great setting for the wedding pictures including the stand in the bridal picture. 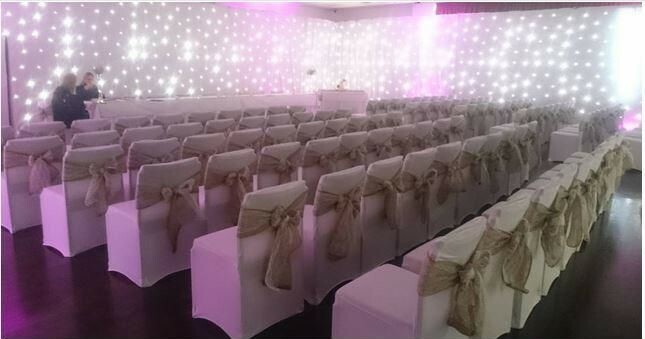 The Civic is fully licensed to host your actual wedding ceremony, therefore if you prefer you cam actually be married here. 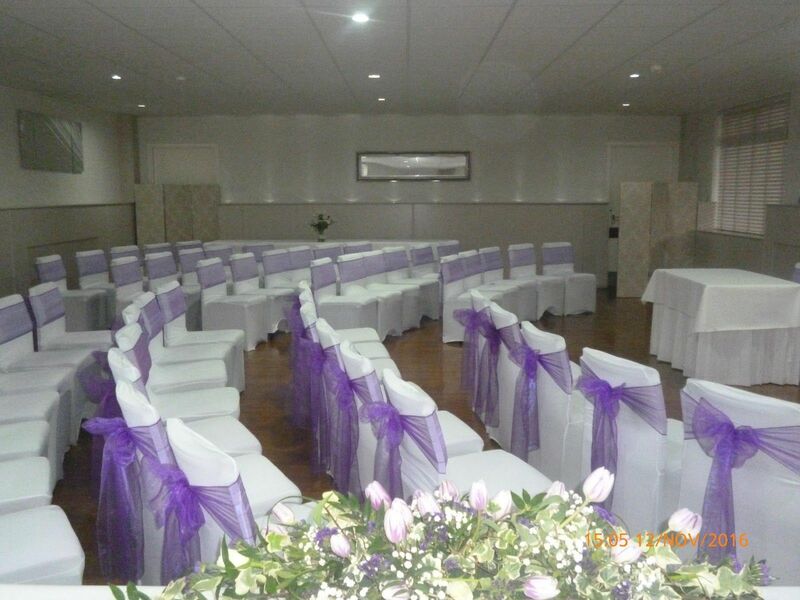 Take a look at the pictures below from previous weddings to get an idea of how the ceremony rooms can be decorated for a service.